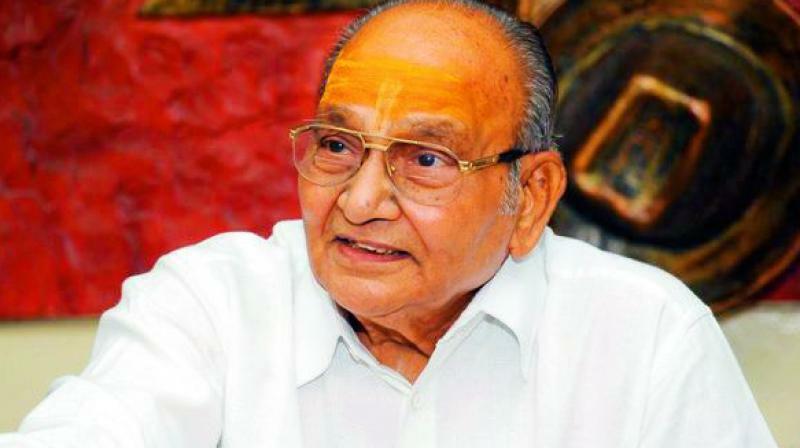 Renowned film director and actor K Viswanath to be conferred prestigious 64th Dada Saheb Phalke award for outstanding contribution to the film industry. Union Information and Broadcasting Minister M. Venkaiah Naidu approved the recommendation of the Dadasaheb Phalke Award committee for the latest recipient of the award, conferred by the government for outstanding contribution to the growth and development of Indian cinema. Winner of multiple National Awards, Vishwanath has directed 50 films, known for their strong content, endearing narrative, honest handling and cultural authenticity. Viswanath started his career as a sound recordist and debuted as a director with Telugu film, Aatma Gowravam (1965). He has directed over fifty films in Telugu and Hindi and has been awarded with five National Film Awards.